Garden Acupuncture in Park Slope, Brooklyn has been creating and producing informational videos over the past year explaining Traditional Chinese Medicine (TCM). 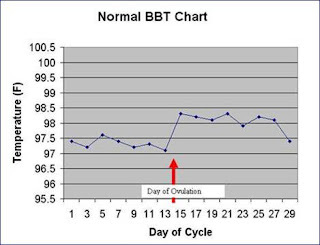 The latest of the videos explains the importance of women keeping track of their Basal Body Temperature, BBT, throughout their menstrual cycle. This is paramount information for individuals trying to conceive because it shows their most fertile days of the month. 2. The most fertile days of the month. 3. Length of the two phases of the cycle. 5. If acupuncture, herbal therapy or another form of intervention could be beneficial. In the video, Alexander Goldberg LAc, Dipl OM, a fertility specialist, gives an easy description of how to take your temperature to get accurate results. This resting body temperature is an indication of hormone levels and processes that are occurring in the body. So, keeping track of this will give provide a clear picture of your fertility health. Dr. Goldberg has studied directly under Dr. Randine Lews, Ph.D. author of The Infertility Cure, and The Way of the Fertile Soul. Dr. Lewis is a well-recognized authority in the field of fertility medicine and Alex is the only practitioner in Brooklyn, NY who has the esteemed privilege to study with her. Garden Acupuncture is a family run, small business in the heart of Park Slope. They pride themselves on individualized, affordable treatments and are committed to offering the best holistic care to the local community. Being fertile and fruitful can mean giving birth to a child -- but to have a fertile soul means to give birth to the true self a woman wants to be: to live a life filled with passion, strength, joy, and adventure. In The Way of the Fertile Soul, Dr. Randine Lewis outlines ten ancient Chinese medical and Taoist secrets that hold the little-known key to successfully conceiving babies, new dreams, and a fulfilling life for women at any phase in their lives. The Way of the Fertile Soul encourages women to strive toward health, abundance, and a fruitful, joyous approach to life. By using diagnostic questionnaires, qigong exercises, and guided meditations to help the reader understand how the elements of nature express themselves in her body, mind, and spirit, The Way of the Fertile Soul provides the tools to greatly increase a woman's chance of conceiving, identify imbalances, reduce stress, increase energy, and uncover her intrinsic creativity and express it fully. Start reading The Way of the Fertile Soul on your Kindle in under a minute!